How do we gain and maintain power - through coercion or cooperation? What does it do to our behaviour? And what makes us lose power? 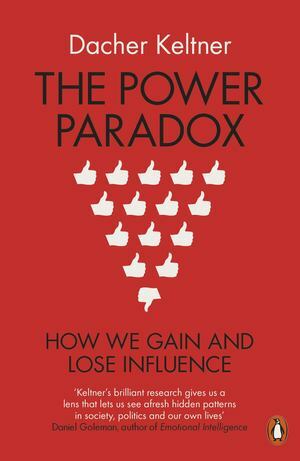 In twenty revolutionary 'power principles', renowned psychologist Dacher Keltner turns everything we thought we knew about influence and status upside down, redefining power for our times. This revolutionary new book shows us that everything we thought about power is dead wrong. It is not gained, as the Machiavellian view says, through coercive force. Influence comes instead to those who are socially intelligent and empathetic - but ironically the seductions of power make us lose those very qualities that made us powerful in the first place. Dacher Keltner illuminates this 'power paradox', revealing how both power and powerlessness distort human behaviour, affecting whether or not we will have an affair, break the law, suffer from depression or find our purpose in life. By redefining power as the ability to do good for others, Keltner turns everything we know about influence, status, and inequality upside down.